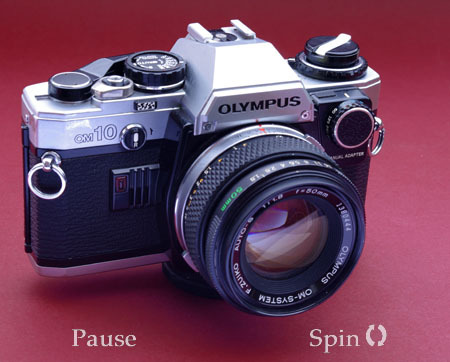 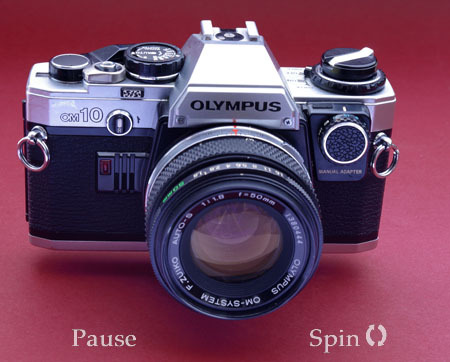 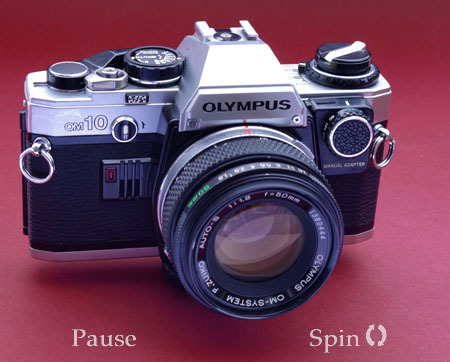 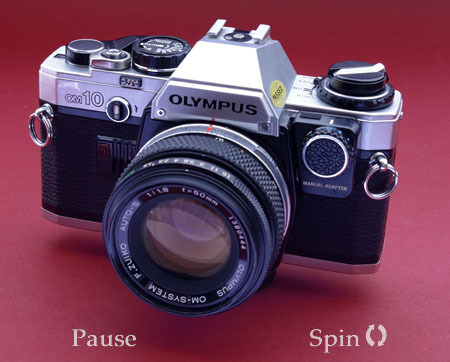 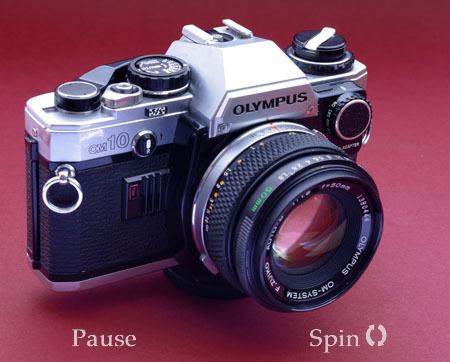 Olympus OM10, vintage camera - all round view at 10° intervals. Unlike the main entry, this rotational view shows the manual exposure adaptor fitted on the right hand side. 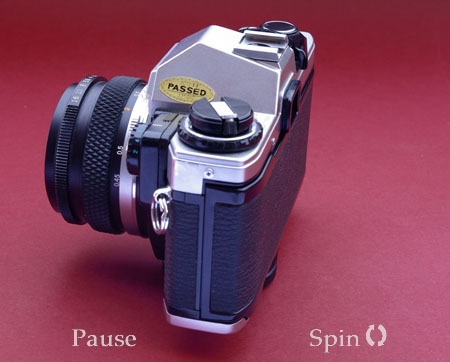 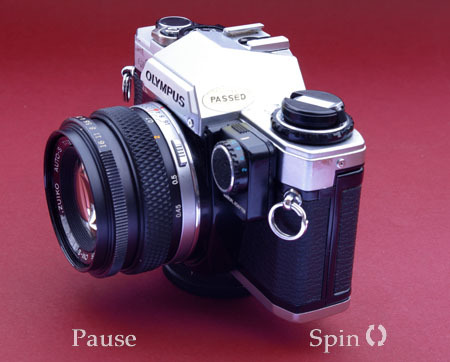 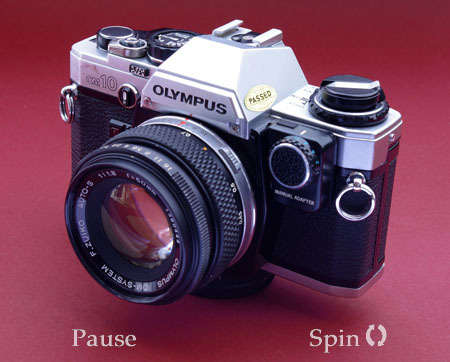 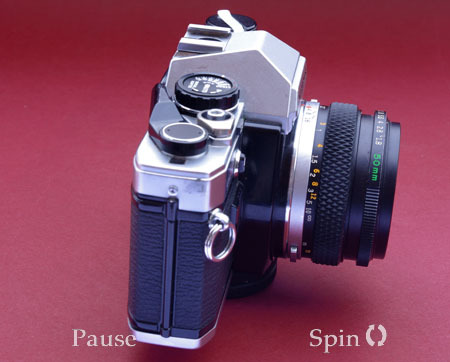 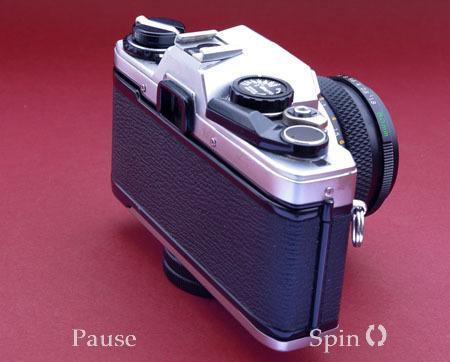 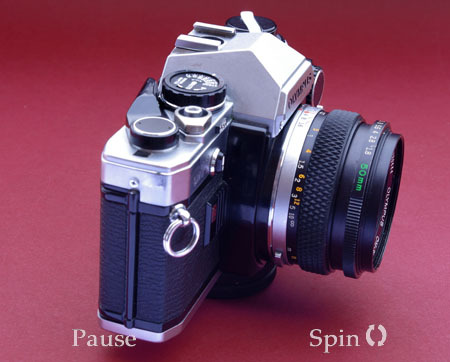 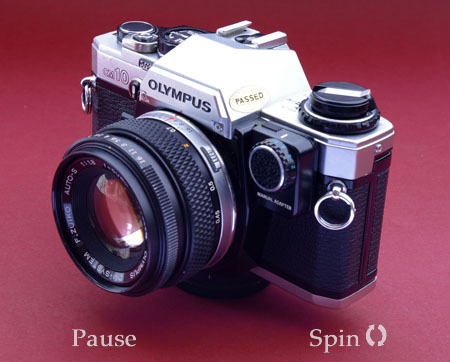 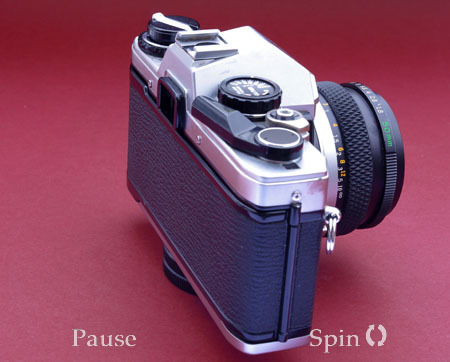 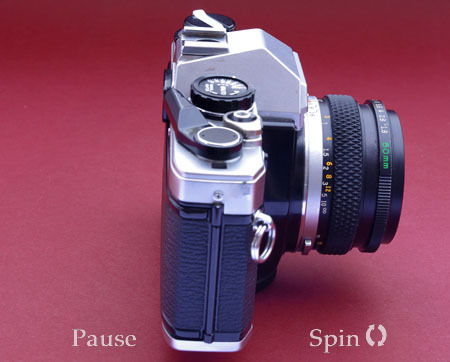 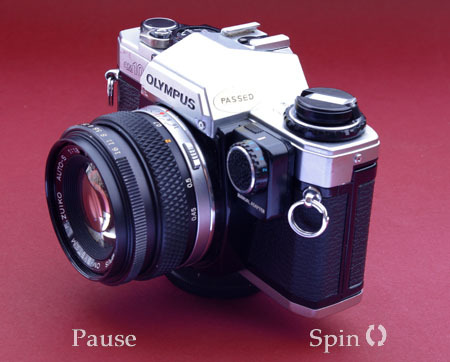 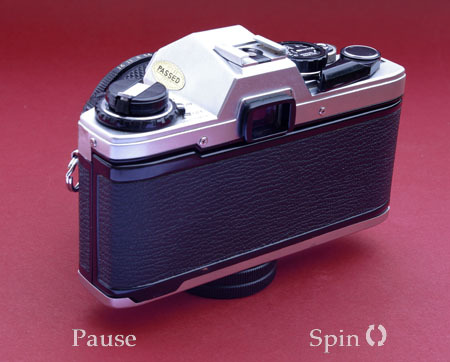 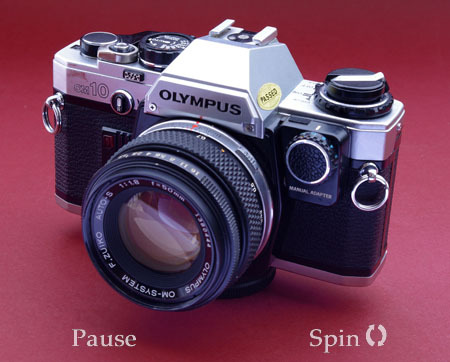 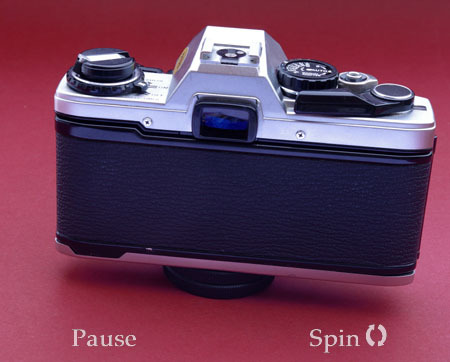 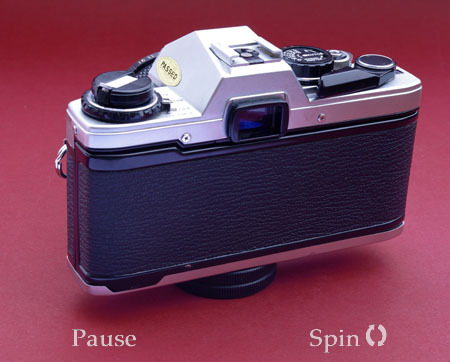 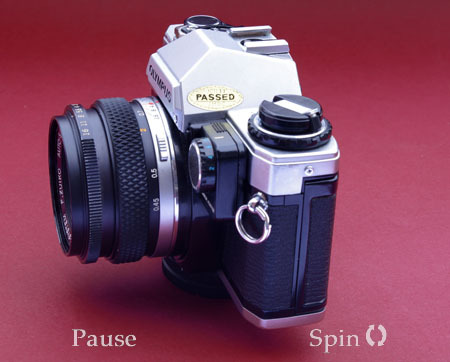 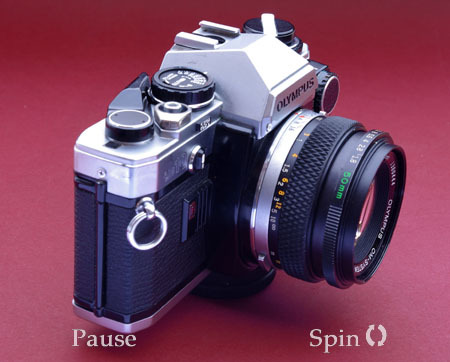 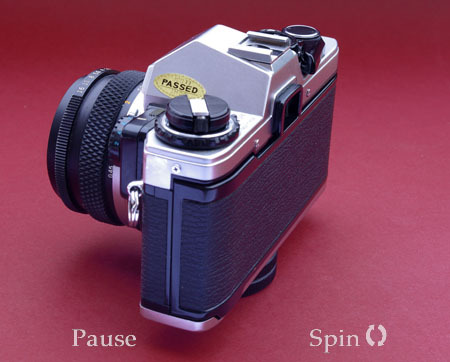 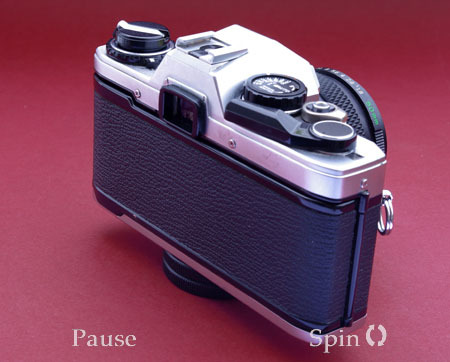 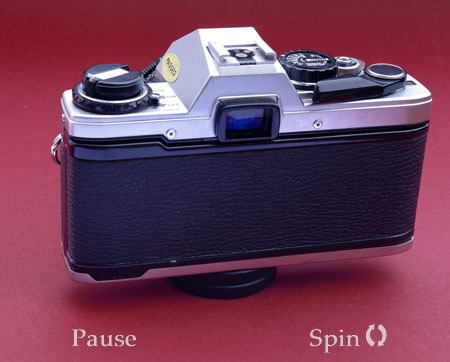 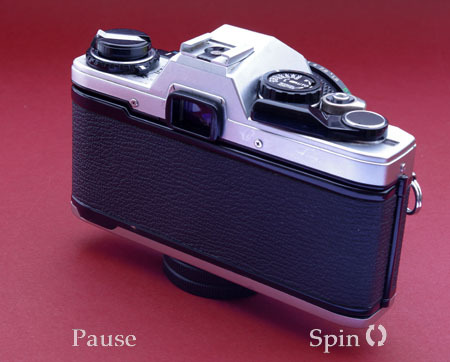 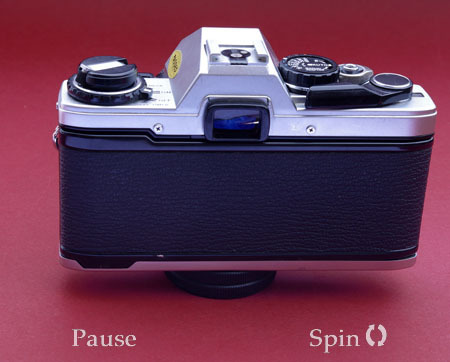 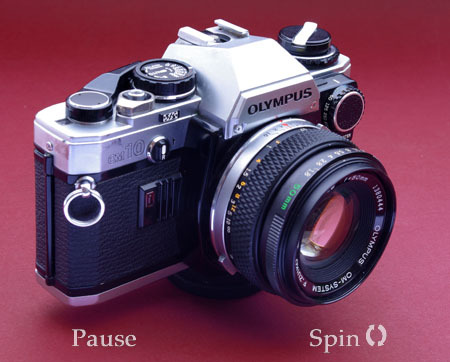 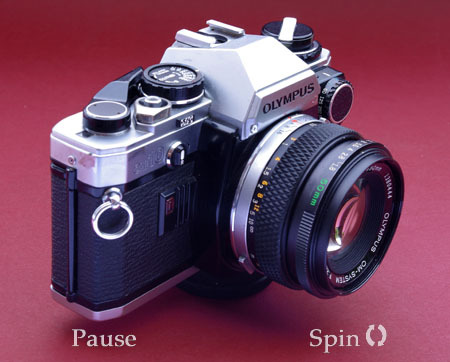 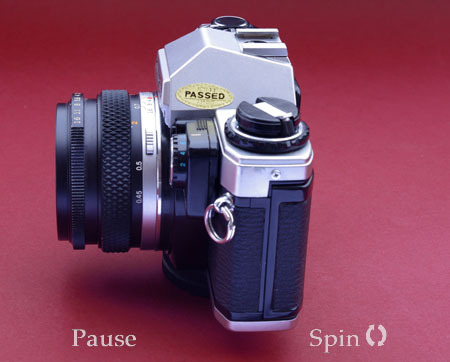 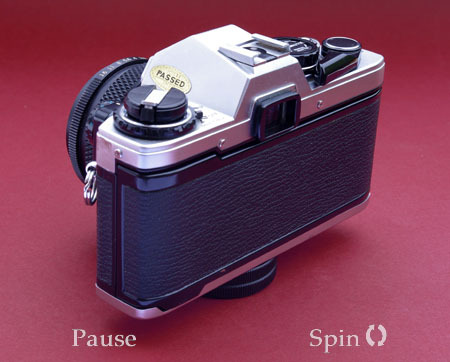 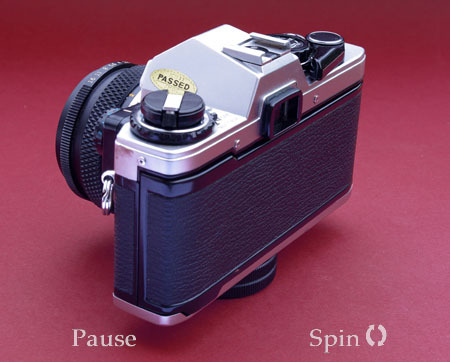 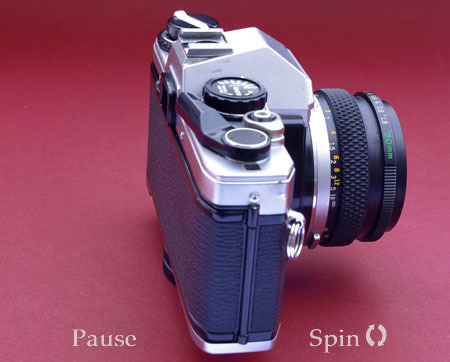 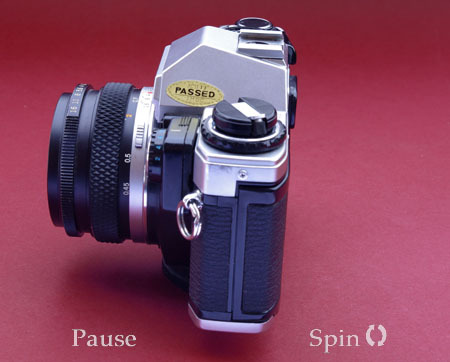 By pressing this into the socket and switching the camera to manual on the selector by the lever wind, the camera becomes totally manual, shutter speed being selected on the dial fitted to the manual adaptor.